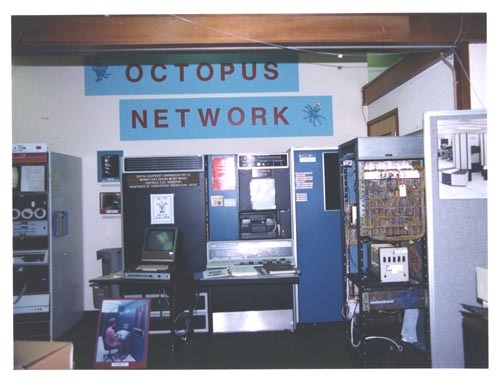 Color image from LLNL Computer Museum exhibit of their Octopus Network. There are several pieces of equipment, all with identification labels. On the right is a picture of a Cray computer, In the center is a PDP-10 computer with console and manuals.